If you are in the market for a new vehicle this year and want to treat yourself to something special, consider a 2017 Camry, as you’ll get everything you would expect from a high end vehicle without the luxury level price tag. Here we will look at some of the many reasons why you’ll love your new Camry. One of the standout features of the 2017 Camry is its enviable mix of power, performance and efficiency. LE, XLE, SE and XSE models showcase a 2.5L 4-cylinder engine that cranks out 178 horsepower and offers fuel economy ratings as low as 7.1L/100km (highway). The XLE and XSE models are also available with a 3.5L V6 that provides 268 horsepower and efficiency levels as low as 7.8L/100km (highway). Those looking for next level efficiency will love the 2017 Camry hybrid. It pairs a 2.5L 4-cylinder engine with Atkinson cycle technology to achieve 200 Net horsepower and offers fuel economy ratings as low as 5.6L/100km (city). Regardless of your choice, every new Camry showcases a state-of-the-art, multi-mode, 6-speed automatic transmission that combines precision shifting with a manual feel. Every Toyota is designed and engineered to provide premium protection for all on board and the 2017 Camry is certainly no different. For starters, the Toyota Star Safety System provides a wealth of high tech highlights, including Smart Stop Technology, Electronic Brake-force Distribution and Vehicle Stability Control. Air bags are positioned throughout the cabin of the vehicle, a Backup Camera comes standard, and illuminated entry reduces the risk of slips, trips and falls. Available safety upgrades include Lane Departure Alert, Automatic High Beams, Blind Spot Monitor, Rear Cross-traffic Alert and even a Glass Breakage Sensor. Toyota has left no stone unturned in making the new Camry as relaxing and comfortable as possible. Head, leg and shoulder room is in plentiful supply regardless of where you are sitting, the 60/40 Fold-Down Rear Seat makes it easy to fit everyone and everything on board, and the climate control system even includes a cabin air filter that actively cleans the air. Better yet, a MacPherson strut front suspension combines seamlessly with a dual-link strut rear to ensure that every ride is a smooth and comfortable one. You can even make your new Camry an extra special ride by upgrading to features such as leather seats, a power moonroof, JBL Audio System, and Dual Automatic Climate Control. Drivers craving the latest high tech features will love the 2017 Camry, as everything from its 6.1” touchscreen Audio Display system to the High Solar Energy Absorbing Window Glass is straight out of the future. The Keyless Entry with Trunk Release makes loading and unloading simple, a 12 Volt Accessory Power Outlet makes keeping your devices charged up easy, while Bluetooth functionality is fully enabled. Want more? Not a problem, as available upgrades include a Push Button Start, Smart Key System, Garage Door Opener and Qi-compatible Wireless Smartphone Charging Unit. 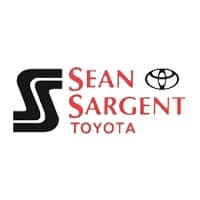 At Sean Sargent Toyota we make finding your dream ride easy, because not only do we have a huge range of quality new and used vehicles to choose from, but you won’t find better value anywhere else. Give us a call, get in touch online or come by and see us here at 10625 117 Ave Grande Prairie.